Rabbit F(ab')2 anti Mouse IgG:Alk. Phos. 1 Formats Available Alk. Phos.  Rabbit anti Mouse IgG antibody recognises mouse IgG. Cross reactivity is observed with rat IgG. Cross-reactivity with human IgG has been minimised by solid phase absorption. Antisera to mouse IgG were raised by repeated immunisation of rabbits with highly purified antigen. Purified IgG was prepared from whole serum by affinity chromatography. F(ab')2 fragments were prepared by pepsin digestion of the IgG followed by a gel filtration step to remove the remaining intact IgG or Fc fragments.